SMARTY Trend Toyota RAV4 2013-2016 Android Car Stereo Navigation In-Dash Head Unit has a lot of advantages as opposite to the original car multimedia system. OS Google Android 8.1.0 Oreo (9.0 P update) based car stereo is much more functional than other operating systems car devices. Everything that is available in your modern smartphone or a tablet now it is easy to access in SMARTY Trend multimedia system. Everything what you need is at arm's length! The bright 10.1 inches Full-touch screen is visible everywhere at sunny weather. There are excellent HI-FI sound, premium quality, high performance, multitasking, easy to use, unique simple interface and much more! 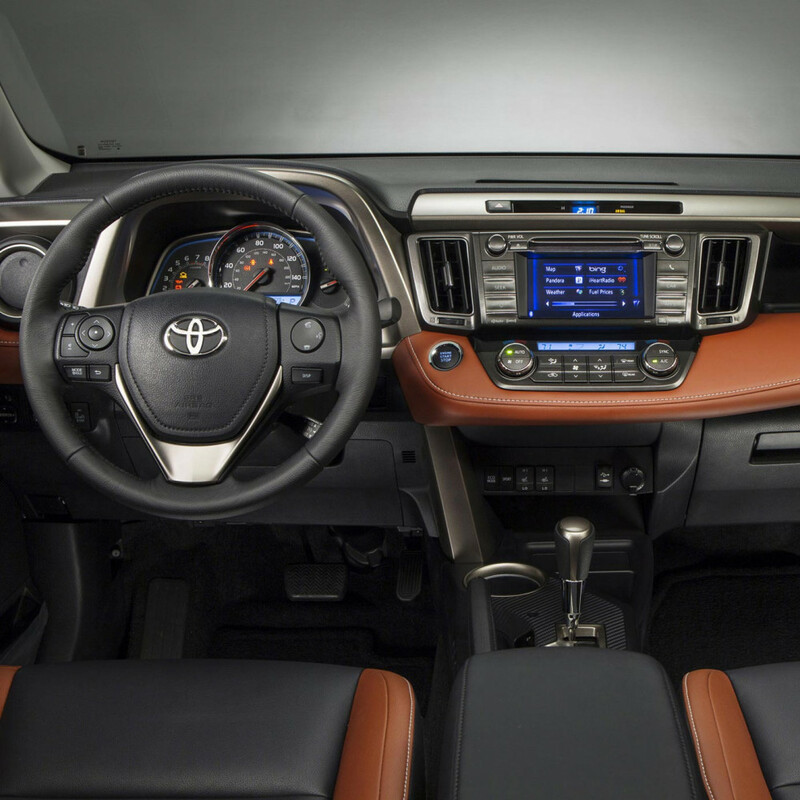 Modern components and optimized software make SMARTY Trend Toyota RAV4 2013-2016 a leader among premium automotive head units! SMARTY Trend Android 8.1.0 Oreo (9.0 P update) Car Navigation Head Unit for Toyota RAV4 2013-2016 runs on the high-performance platform with 1.8 GHz Octa-core (Allwinner T8) processor! Increasing the number of cores improves performance and allow to make the device much faster. Reaction to the user signals is instantaneous and without any "freezes". Diagonal screen is 10.1 inches Full-touch with HD 1024*600px LCD resolution, display brightness is very high and it will be seeable even at sunny day. When car lights are switched on, the screen brightness automatically becomes darkfield, also the brightness function can be tuned in a manual way and enables to customize the screen with individual preferences. Capacitive touchscreen technology allow to control all functions easy and safely while car driving. Navigation. All SMARTY Trend Navigation head units for Toyota RAV4 2013-2016 come with GPS / Glonass module on-board. It allows to estimate the location of a vehicle more accurately and quickly. You can use popular navigation software, like Google Maps, iGo Primo, TomTom, CoPilot, Sygic, Waze and others. Online traffic information allows you to choose the best route. On-board computer. Connecting the OBD-II adapter and you will be able to find out errors and diagnose vehicle systems without attending the car dealership. In addition, the adapter can be used as on-board computer with advanced settings. Installing a special Android application and you can get a lot of useful information about your Toyota RAV4 2013-2016 online from multiply engine sensors. Some cars aren't supported by OBD2 adapter. Remark: OBD2 adapter is option. Parking cameras. The parking on your Toyota RAV4 2013-2016 becomes more safety with using rear backup camera. The camera is automatically activated when you put into reverse gear. You can switch to on/off parking lines in the setting of the SMARTY Trend radio. Some cars support option of the trajectory lines while parking. Besides that, you can connect the front camera! Factory original functions. The SMARTY Trend unit has perfect integration with original car systems and car design. It's easy to connect "pin-to-pin" connectors. If your car is equipped with the original factory parking assist system, backup camera, factory amplifier, factory loud speaker (subwoofer), you have the ability to keep these functions because SMARTY Trend unit will support them. If your Toyota RAV4 2013-2016 has some of these factory functions please asserting before making an order. Video review the SMARTY Trend head unit for Toyota RAV4 (2013-2016). That head unit is not suitable for restyling models beginning from the 2015 year of release, with surround view system. The car settings control is saved. After the head unit installation, the fuel consumption information will be still displaying.